I'm a web programmer and a photographer. 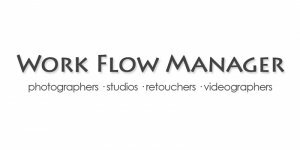 For many years my work flow for arranging photo shoots and managing photo shoots has been a myriad of software and paperwork. I'm planning to build a bit of software so photographers, studios, retouchers, videographers, producers (etc!) can keep track and manage their emails, bookings, deadlines, contacts, tracking invoices, and work flow - every step from initial contact with the/a model to sending the images to the client. If this sounds like something that may interest you, please get in touch!